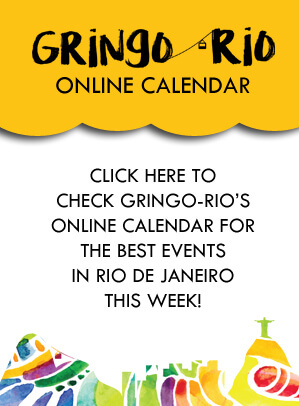 Rio de Janeiro is a city full of undiscovered places that make your eyes turn. The Stairs of Selarón used to be one of them. A magical place, in the middle of a metropole, with nobody around. Just an occasional visitor. But not anymore. 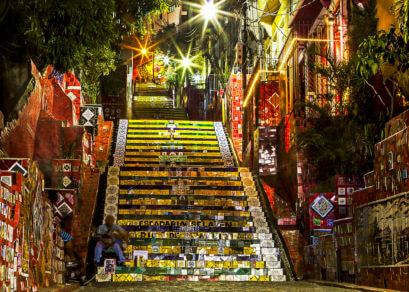 Right now the stairs, that functions as a bridge between the neighborhoods Lapa and Santa Teresa, is one of the most visited highlights in the city. Thousands of people pass by every day. But the magic still exists. 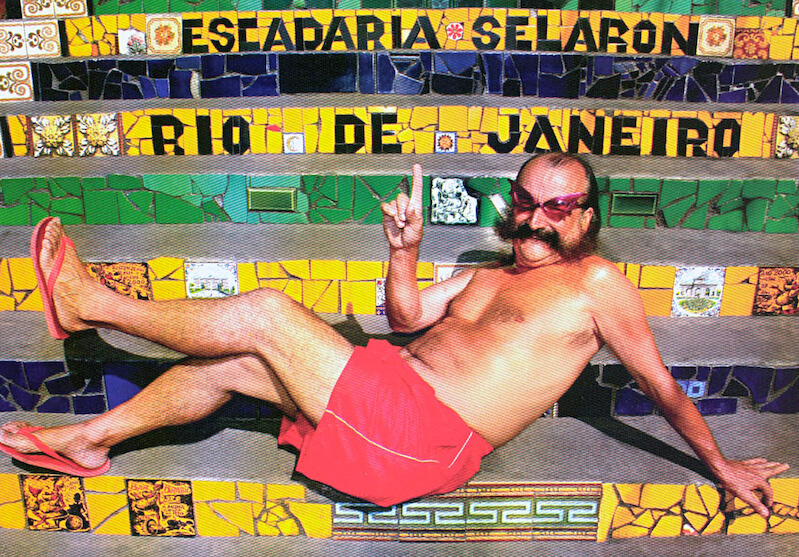 It all started in 1983 when the Chilean artist Jorge Selarón arrived in Rio de Janeiro and decided to stay. Because he fell in love with the city. 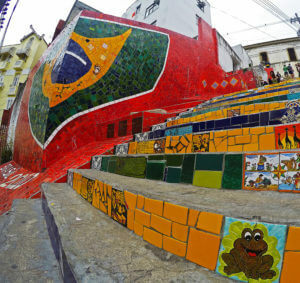 As an ode to the Brazilians he started, in 1990, with putting the tiles on the already existing stairs. Of course in the colors yellow, green and blue. The colors of the flag of Brazil. During the years the stairs became more popular, to the extent that visitors started sending him tiles to use them for his project. The artist lived in one of the houses next to stairs and was always around, trying to sell his work or take pictures with his fans. Now the 215 steps have thousands of tiles from all over the world. An interesting thing is the use of old bathtubs along the steps. Initially, he used them for plants, to create a garden, but soon they also would be covered by tiles. Unfortunately, Jorge Selarón was found dead in January 2013 at the age of 65. In front of his house, on his most famous project. Officially he committed suicide, according to the police report. 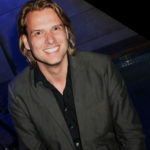 However, he also had received various death threats prior to his death, of a formal business partner. People in the neighborhood believe the Chilean was murdered. He is buried in the famous São João Batista Cemetery in the neighborhood Botafogo, with the likes of Oscar Niemeyer, Tom Jobim and Santos Dumont. The best time to visit the Stairs of Selarón is early morning before 10 am. After that time the tour agencies will arrive with loads of tourists until the end of the day. Of course, in low season – between April and Juni and September and November – you can get lucky during the day. Best spot is the upper part of the steps where you can find a more quiet corner with the Brazilian flag. If you visit in the morning, be careful with your stuff. This doesn’t mean that you have to be scared, just that you should pay attention. The place can be a bit dodgy since shops are still closed and there isn’t a lot of movement on the streets. Always try to visit with two or more people. From the top of the stairs you can walk directly into Santa Teresa, but that is not really a good idea. If you want to walk around in Santa Teresa, go there by taxi. There you should visit the area around Largo do Guimarães, which is in the heart of the neighborhood and a more lively quarter. 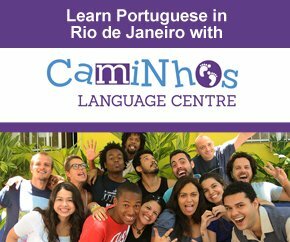 Best way to get to the steps is to go with the metro until the Cinelândia stop. When entering Cinelândia square you will have the City Theater in front of you, you turn left and walk until the square with the Aqueduct of Lapa (Lapa Arches). You leave the square on the side with all the palm trees and you walk in the direction of a little church. Across the street of the church there is a bar called Ernesto, turn right in the street before the bar and after hundred meters you will be in front of the Stairs of Selarón map.